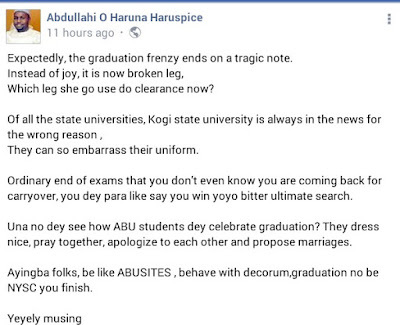 The leg of a final year female student of the Department of Sociology, Kogi State University, was yesterday crushed by the car of a fellow student. 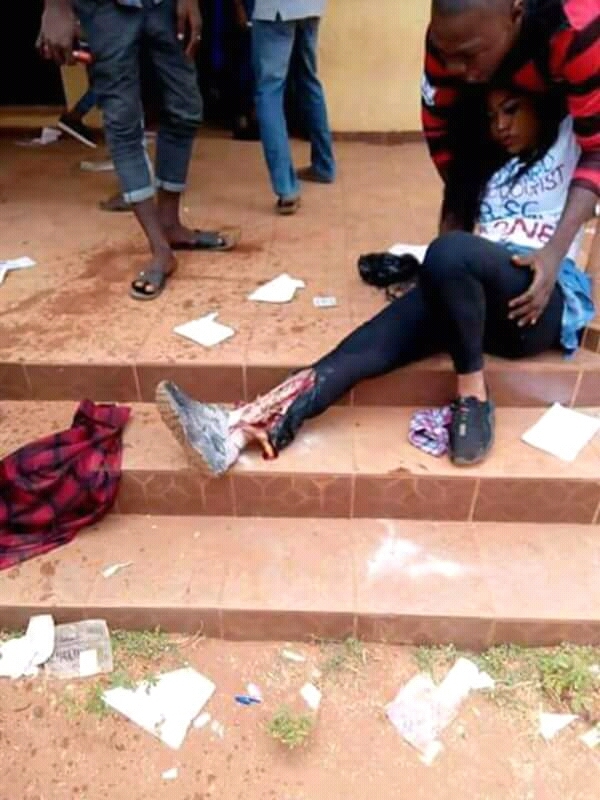 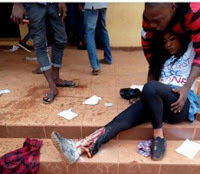 It was gathered that the lady was jubilating with friends after their final exam as undergraduates when the incident occurred. 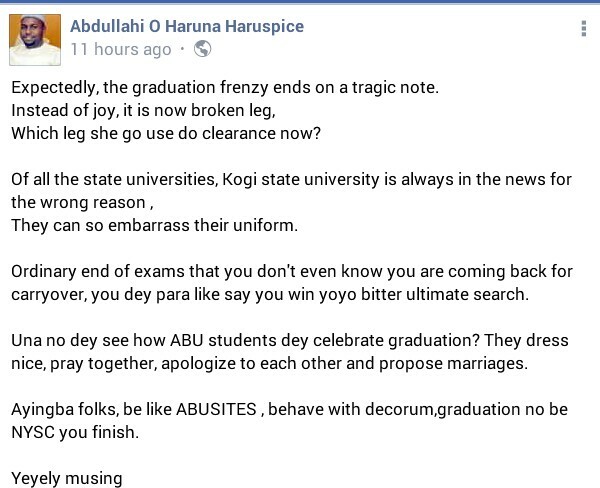 Below is how a Facebook user reported the incident.